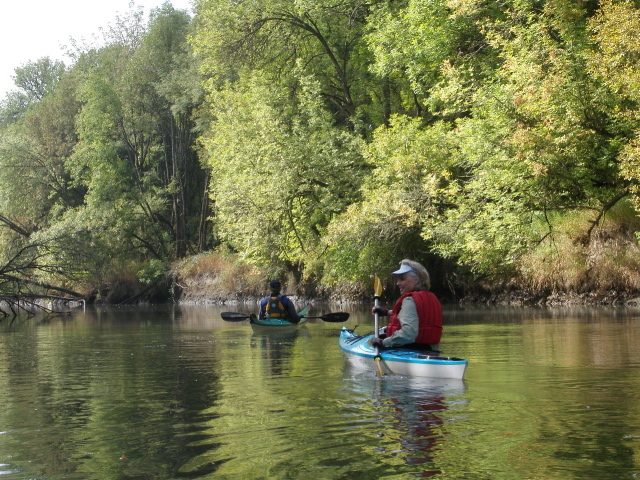 It is approximately a 50-mile trip to circumnavigate Sauvie Island! No Wake zones are posted on both sides of the Multnomah Channel north and south of the Sauvie Island bridge; south of Sauvie Island moorage and the north end of Mayfair Moorage (at Pier Road boat launch). Please show consideration to our floating homes residents. Remember, it is the law! Multnomah Channel is popular in summer. Boaters be careful for water skiers and tubers in the water. After heavy rains there is a large amount of floating timber in both the Multnomah channel and Columbia River. These are often times largely submersed. Slow is the recommended speed. Sauvie Island Boat Ramp – located at the end of Ferry Rd across from Fire Station on Sauvie Island Road. Has an adjoining parking facility and bathrooms maintained by Portland Metro. Hadley’s Landing – borders Wapato State Greenway on the Multnomah Channel is a boat dock and small picnic area with a seasonal port-a-potty, picnic tables and horse-shoe pits. Cove Marina – lies in a small inlet on the Sauvie Island shore just upstream from Willow Point. A Launching ramp is available but no fuel. The Multnomah Channel or the Columbia River waters which border the island are obvious paddling waterways; however both have a lot of boat traffic which may include barges, sailboats and power boats and additionally, the Columbia River sees heavy ocean-going container-ship traffic. The Cunningham Slough (pictured right) provides easy water kayaking. A great family paddling option is Sturgeon Lake where there is a boat launch. 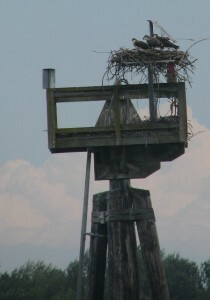 Please take care not to disturb waterfowl and other bird or wildlife nesting areas that may be found along beaches and atop piers and pilings such as the Osprey nest pictured right. At all times, wearing a PERSONAL FLOTATION DEVICE, regardless of conditions, is recommended.